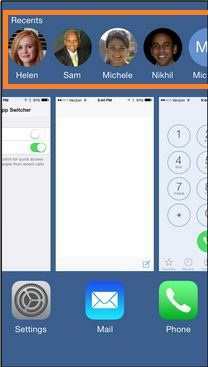 In iOS 8, recent contacts we can view from App switcher but we can customize (Remove recent contacts list in iOS 8) it. To show or dial recent contacts from app switcher is the handy option (double tap on home button). From any of the screen you can access recent contacts at a time. Unfortunately, some people want to disable this functionality in iOS 8 device, it’s hence that for privacy. Otherwise no one wants to use this amazing functionality. 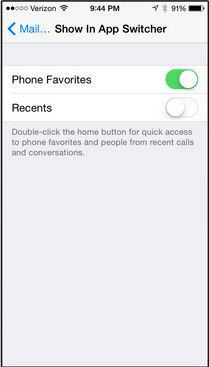 Note: For Disable/ Remove recent contacts list in iOS 8, you must have iOS 8 running on device. In older iOS 7/ iOS 6, you can’t do in this way. Step 1: Go the setting app, Launch it. Step 2: inside the setting app, Tap on Mail, Contacts and Calendars. 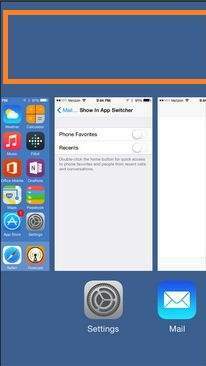 Step 4: inside the Contacts tap on Show in App Switcher. Step 5: From there, you can see Favorite contacts and recent dial contacts for your iPhone and iPad device. Note: in app switcher screen you will first see the Favorite contacts and recent contacts in queue from left to right scrolling. 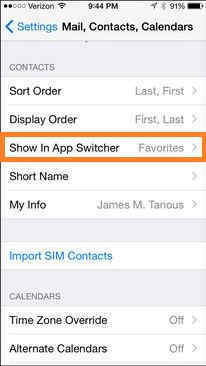 Step 6: Disable option (Phone favorites, Recent) which list you want from app switcher screen. For turnoff save recent contact in list disable option recants. Step 7: Now you are done, press double tap on home button, and check list showing or not. 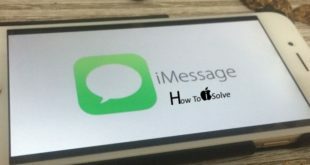 Recent contacts auto delete is best features who believe keep iPhone clean all time or remove recent contact manually one by one. So friends what’s your thought on Disable/ remove recent contacts list in iOS 8 device (iPhone 6 and iPhone 6 Plus or other supported version), Comment in below for further assistance on not able to hide contacts own self. This tip is Very useful for all, Don’t miss to share to other from below comment box.